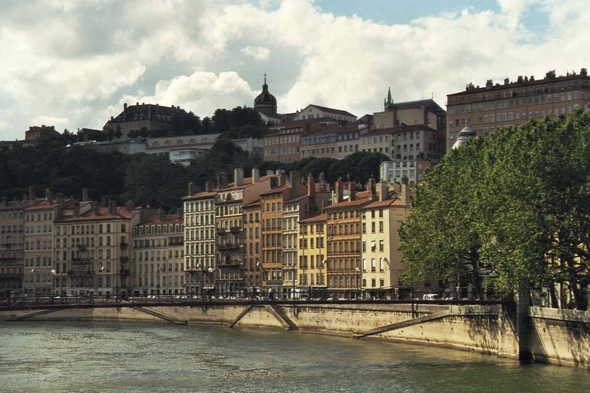 The Saint-Jean district, along the Rhone. The development of the exchanges at the 16th century, therefore that of the traders, the bankers and the senior civil servants, was worth to Lyon a good period. In this city full of ideas were built Gothic residences with elegant flamboyant frontages still with dissymmetrical windows.